The ideal entry point for reliable home security. Diamond Grille’s strength comes from its distinctive diamond mesh pattern. 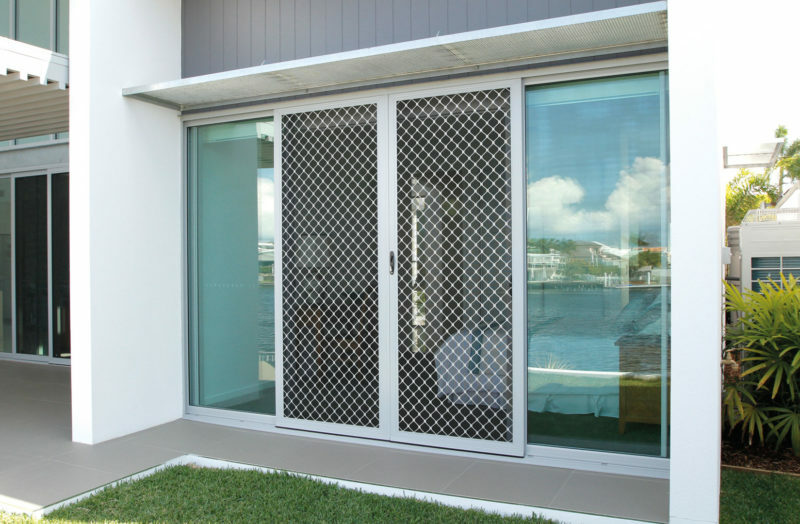 Made from 7mm aluminium, the grille is pressed into an aluminium frame and then finished with a flywire insert. For added strength, the grille is riveted at regular spacing around the entire frame. The end result is a safety door that not only keeps bugs out, but deters unwanted intruders too. The increasing popularity of Diamond Grille safety screens is largely due to their cost effectiveness. Considering its impressive performance, it’s a great value option that has been proven to be an excellent home security solution when fitted with a triple lock.